Eulalah Patton Oldenburgh, daughter of William Orval Patton and Martha Elizabeth Carter, married to Henry Levi Oldenburgh, buried in Elmwood Memorial Park Cemetery, Abilene, Taylor Co., Texas. Eulalah Patton Oldenburgh, 79, died Monday at an Abilene hospital. A graveside service will be held at 10:00 a.m. on Thursday, March 11 at Elmwood Memorial Park with her grandson, the Reverend Scott Oldenburgh officiating. The family will be at Elmwood Funeral Home, 5750 Highway 277 South, from 6 to 7 p.m. on Wednesday for visitation. 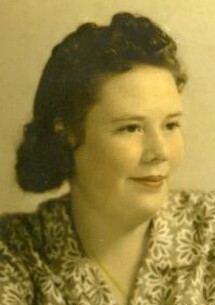 Mrs. Oldenburgh was born on June 7, 1924 the daughter of William Orvil and Martha Patton. She was the widow of Henry Levi Oldenburgh. She was a homemaker and a member of the Southside Baptist Church. Eulalah loved plants and painted beautiful china. She was a devoted wife, mother and grandmother. Survivors include one son, Roger and wife Linda of New Braunfels; two daughters, Martheda Gindratt of San Antonio and Kaye Bartlett and husband Kenneth of Eula; six grandchildren, Monica and Jeff Collier, Scott and Michelle Oldenburgh, Christina Gindratt, Anthony Gindratt, Kasey Bartlett and Austin Henry Bartlett; four great- grandchildren; one brother and sister-in-law, Roy and Mary Patton of Mississippi; and two nieces. An infant sister preceded her in death. The family would like to express their appreciation to Abilene Regional Medical Center, Care Inn of Abilene, Hospice of the Big Country and long time Physician and friend, Dr. Jack Bargainer for their care and support. Memorial donations can be made to Hospice of the Big Country.